How important the Feng Shui might be? Have you ever got into the unfamiliar house and immediately felt yourself at home? Or, conversely, maybe being in a room of your own house, you suddenly to felt anxious and worried? The reasons for this, obviously are not clear for you. But what may seem a mystery is easily explained with the help of Feng Shui - the ancient Chinese system of creating harmonious surroundings. In one place, the powers of Heaven and Earth are in a perfect balance, in the other - in the terrible contradiction with each other. Without realizing it, you may block the smooth course of the vital "QI" energy, just by arranging unsuccessfully a table or a bed. Inconvenience may also come from a tree growing too close to the house, or from too high fences. Professional Feng Shui master can easily identify the source of your troubles and offer you a suitable way to change the situation. The art of Feng Shui is not confined only to the practical methods of environment planning. Philosophical aspects of this art are in the interpretation of a secret, mystical forces of the universe. Feng Shui seeks to get maximum knowledge about the powers of the natural world. Hieroglyphs that make up the name of the system, literally are translated as "wind and water": these are two leading elements in building the landscape. Followers of Feng Shui believe that the destruction or distortion of the natural environment is directly leading to the loss of a human life. Disrupting the natural order (Dao) that is ruling in nature, people are destroying the balance between "Yin" and "Yang" - the two fundamental forces of the universe. 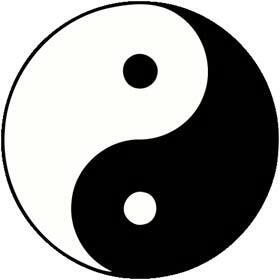 The natur al interaction of "Yin" and "Yang" powers must be maintained at all levels, starting with the individual. By the character and health of a given person you can see the movement of "Yin" and "Yang" in his body. And this powers, in turn, are affected by the surrounding objects, terrain, where the given person lives, and the degree to which he subjected the actual changes of the natural environment. Because of this the whole range of issues may appear. At the ecological level a large-scale felling of trees and turning the riverbeds can lead to the floods or droughts. On a personal level, problems may range from the increased moisture in the house up to the attacks of insomnia, from the career setbacks to the bad health. Feng Shui master, who is working at the individual level, may suggest different ways to correct these problems. In the worst case he has to offer to move the house to a completely different place, but fortunately such situations are extremely rare. As a rule, the necessary changes do not require any large financial investments and do not take much time. The art of Feng Shui is highly respected in many areas of the Far East, particularly in Hong Kong. The Feng Shui master is usually participating in the layout of the building not less, than an architect. Sometimes in the course of construction people are constantly consulting with the Feng Shui expert. If the affairs of any company are falling into disrepair, the owners of that businesses often come to the master of Feng Shui for advice. To correct the difficult situation, it is sometimes enough to move the catalog drawers or to move a doorway to another part of the wall. In the case of a child suffering from chronic diseases or performing poorly at school, the problem may be associated with only the wrong size of the school desk or the wrong position of the bed, where the child is sleeping. Even in the situations where the rearrangement of furniture is not possible at the given place, and it is not possible to make any significant changes in the structure of the building, it is almost always possible to find a partial solution for the problem. The properly placed mirror or a living green plant may sometimes return harmony to the house.